Ross Richardson fighting his second amateur fight vs. Kenny Rayside at Aggressive Combat Championships 16. Ross Richardson, an East Coast United BJJ fighter is scheduled to make his professional debut at Bellator MMA 192: Nelson vs. Mitrione 2. Bellator MMA Prelims begin at 7 PM and the main card airs at 9 PM on the Newly created Paramount Network. Richardson enters the professional rankings after completing a perfect amateur career, finishing at 3-0. The ECU fighter will be competing against Ron Leon, another New York tri-state local. This preliminary lightweight bout (155-pounds) between Richardson and Leon takes place this Friday, February 16, 2018, at the Mohegan Sun Arena in Uncasville, Connecticut. The headliner is a rematch between two former Ultimate Fighting Championship (UFC) fighters main event fight on The Ultimate Fighter season 16 Finale card. Roy “Big Country” Nelson knocked out Matt “Meathead” Mitrione in round one at 2:58. Richardson, 22, fought his last fight at Ring of Combat Amateur 24 card for the vacant welterweight title in July of 2017. He earned the victory over Mike Dakessian after a three-round unanimous decision battle. After Richardson’s original opponent for Bellator 194, Nicholas Giulietti pulled out, Bellator replaced him with Kai Next level fighter, Kenneth Rayside. 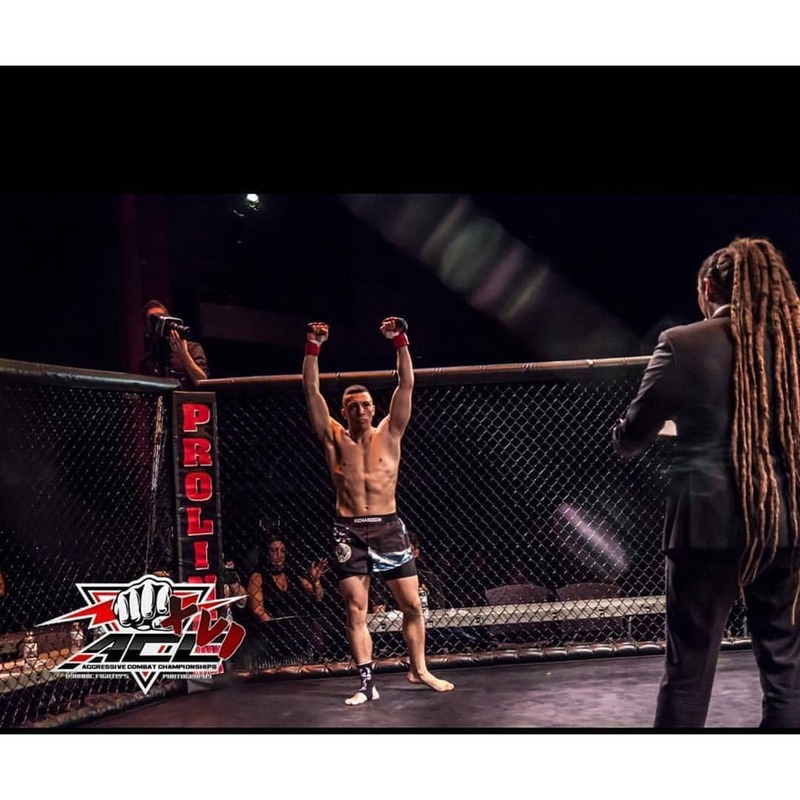 Rayside lost to Richardson via quick submission choke at fifteen seconds of round one at Aggressive Combat Championships 16 in September of 2016. Which played a factor in Rayside’s decision to pass on this opportunity onto his teammate Ron Leon. 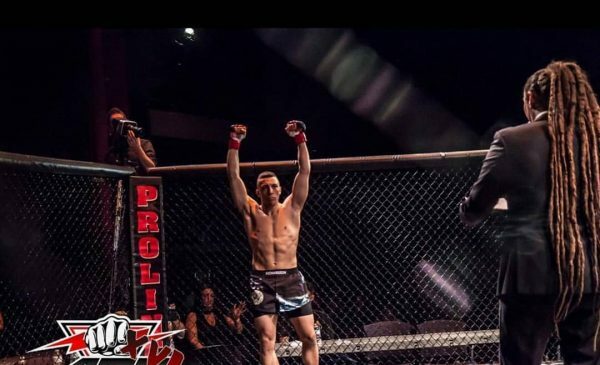 In September of 2015, the recently called-up fighter fought Matt Bilella-Fitzpatrick to a majority decision in his MMA debut at New York Fight Exchange 8 (NYFE). The East Coast United BJJ (ECU) fighter trains with a team of hardworking individuals. The ECU team consists of Ross Richardson (3-0AM, 0-0 Pro), Christian “The Giant Killer” Medina (2-2AM, 0-1 Pro), Brandon “B-52” Medina (4-1AM,) “The Assassin” Luis Gonzalez (6-3AM), Rose DeMateo (2-0AM), and Head Coach Tito Hartz. It’s easy to say hardworking when you understand the amount of effort the young men and women of ECU focus towards training while balancing their busy lives. Richardson, among many at ECU train full-time, attend school full-time and work full-time. The maturity, ambition, and fortitude the twenty-two-year-old shows is impressive. Bellator MMA’s newest lightweight will be graduating in May with his Bachelor’s degree in Chemical Engineering. Now that the ECU fighter is battling Ron Leon of Kai Next Level MMA, the two fighters only have weigh-ins left aside from a little bit of media, which will be new two these two warriors stepping inside the cage on the biggest stage of their careers. Ross Richardson and Ron Leon both sat down with My MMA News to discuss their opportunity at Bellator 194. Richardson explains to My MMA News about Bellator MMA finding him two replacements, his weight cut, his thoughts about his opponent, and his goals in and outside of the sport. He’s a well-spoken young man with potential through the roof. The ECU lightweight explains how for the first time he isn’t being hindered by any nagging injuries and looks to make 2018 his career year. Below are two links to these fighters interviews. Be sure to follow My MMA News on Social media at @MyMMANews for updates on Richardson’s preliminary fight. Ross Richardson Bellator MMA 194 Pre-fight Interview with My MMA News.